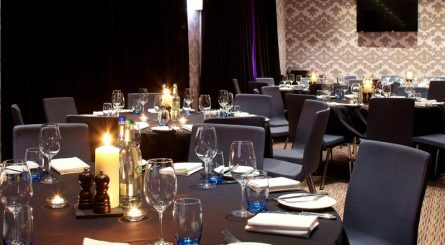 Private dining rooms in Newcastle. Find a venue for hire. Made famous most recently by TV personalities Ant and Dec and the series Geordie Shore casting a fly on the wall look at Newcastle’s legendary nightlife, the city is well known for its party atmosphere. Situated on the River Tyne, it’s also a university town and, while historically it was a major shipping and manufacturing hub, it’s now been given a new lease of life as a centre for business, art and science in the North East. Tourist attractions within the city include the castle and cathedral, the Tyne Bridge, Discovery Museum and St James’ Park – the famous football stadium, while just outside there’s the iconic Angel of the North as well as Hadrian’s Wall. Boasting its own international airport as well as a city metro system, trains to London take around 3 hours or Edinburgh just one and a half. It’s an ideal city for hosting a wide range of events, from conferences to party weekends – and there are plenty of great hotels, restaurants and bars with private dining facilities to explore. 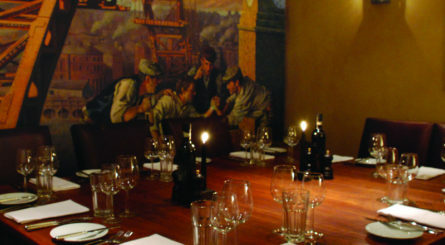 The two private dining rooms at Hotel du Vin & Bistro in Newcastle upon Tyne can respectively seat 12 and 22 dining guests. The private dining rooms in Newcastle’s Quayside are, depending on which room you choose, each able to seat between 10 to 30 seated guests.